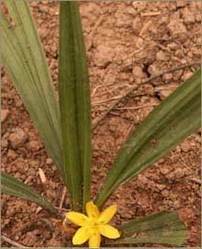 Uses : Curculigo orchioides grows as forest herb. Since generations, it is in use as folk medicine. In ayurveda, root is heating, , fatigue, alternative, fattening and useful in treatment of piles, appetizer, blood related disorders etc. according to unani system of medicine, root is carminative, tonic, , antipyretic and useful in bronchitis, ophthalmia, indigestion, vomiting, diarrhoea, lumbago, gonorrhea, gleet, hydrophobia, joint pains etc. Used in case of hypertension among women at late ages and chronic arthritis. Also used as tonic.